My grandparents had allotment in the beltwey. Thay planted the apple, pear, cherry, berries, vegetable and blue grapes. My grandpa made from red rose leaves and blue grapes soft home wine. Every vacations I was at my grandparents´s allotment. I helped them to pick berries. I like fruits print. It is so refreshing and combine to all basic outfits. Sommer is not over and we can enjoy a last month August and beginning of September. 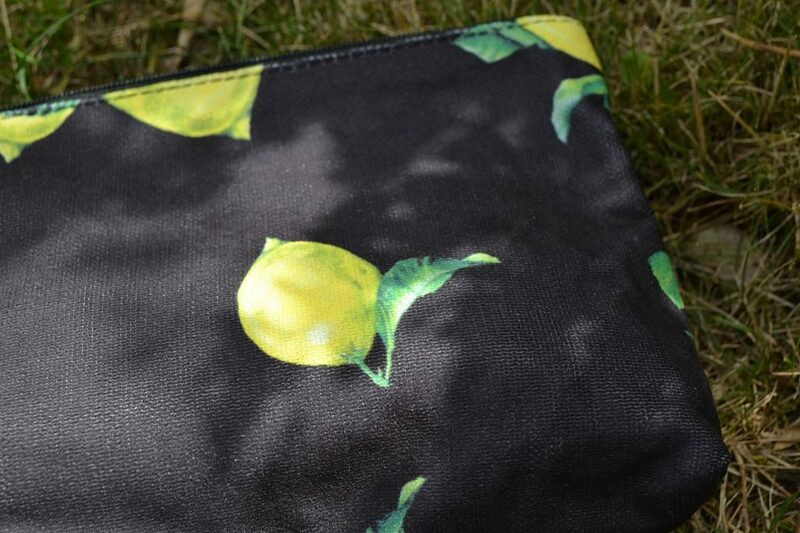 I found my two fabric bag in Facebook site Atelye “Granat” and I was enamoured of lemon and pomegranates print. 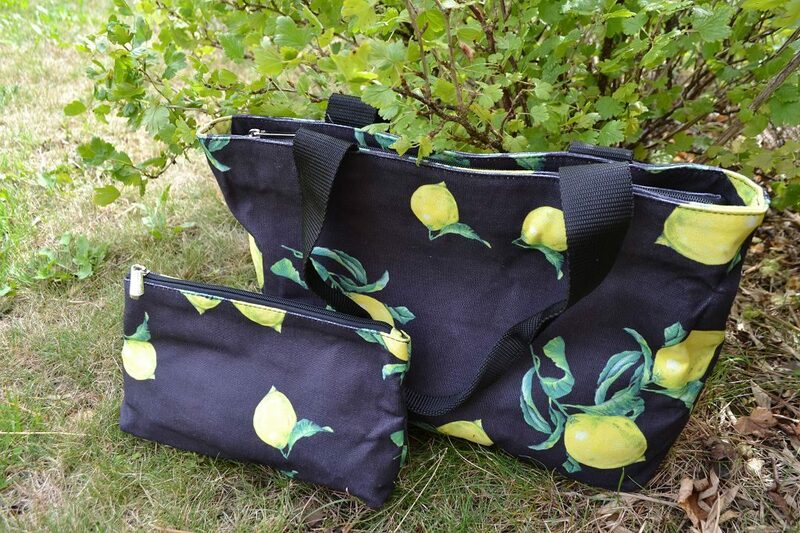 Lemon tote bag is medium size, exact for promenade in the city. 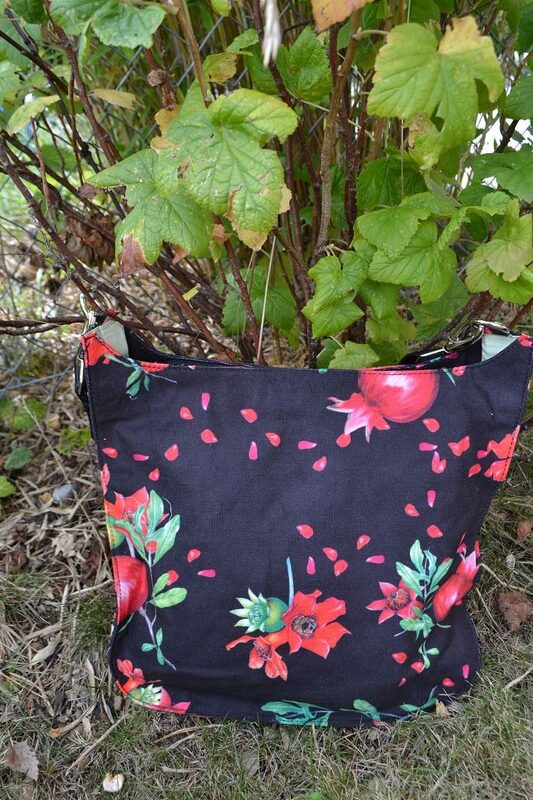 Pomegranates sling bag is perfect for ride a bicycle. 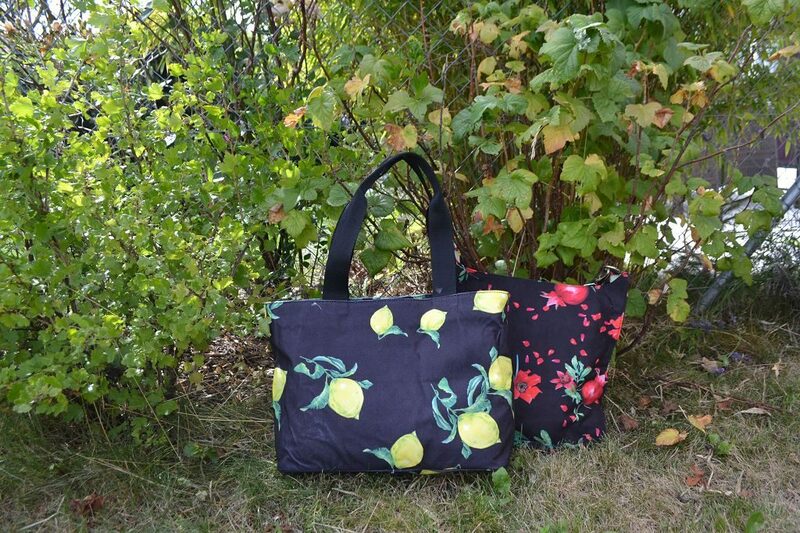 Either bags have lining with pomegranates print and pockets. The outrageous print of fabric bags is ideal accessory for ton in ton colour basic. You can combine to white, black, yelow and red. Keep in mind a red shoues mix to pommegranat sling bag. Maria is owner in Atelye “Granat” and she pants fruts, vegetables,fauna and flora prints and made beautiful bags ans scaf. Be sure to check out this bag , and more various prints finds at Facebook Atelye “Granat”seit. This bag is selling fast becaus she make modicum from every print, so don’t delay. If you do buy the bag or scaf, be sure to send me a photo, and I will post it on my Facebook. I’d love to see it on you!